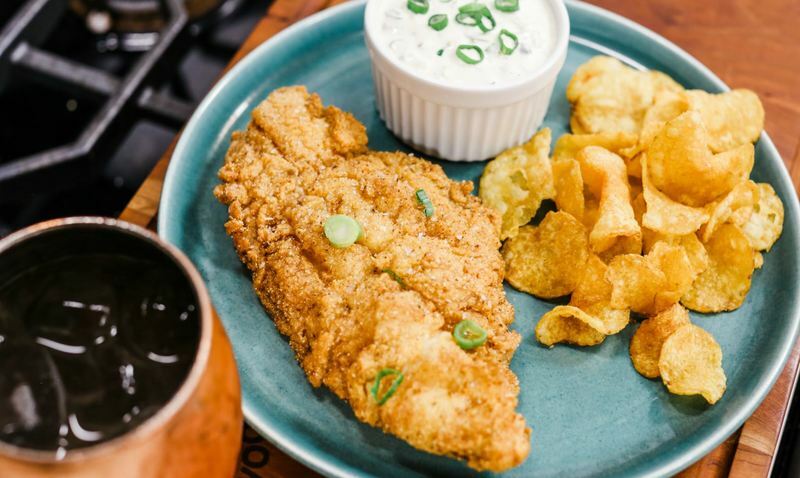 It's no secret that we Southerners love our fried foods. We'll fry just about anything — okra, hushpuppies, hand pies, steak and, of course, chicken. Much of the time, though, those platters of golden brown food come along not only with a side of only mac and cheese, but also guilt. Fried foods are often thought of as some of the most unhealthy foods you can eat, and when we're talking towers of fast food fried chicken and french fries, that assertion isn't too off-base. However, fried foods aren't actually all that bad for you — as long as you're doing it right. Here's why. First, what is frying anyway? Even if you've never heated up a pot of peanut oil and breaded a mess of chicken wings, anyone who's watched a cooking show knows the basics: Food, which is sometimes breaded and sometimes not, gets submerged into a hot, but not smoking, pot of oil, where it bubbles away vigorously until it cooks through and turns brown. The food is removed, patted dry and, preferably, eaten when piping hot. That's about it. But what's actually going on in that pot of oil? Unlike steaming or boiling, frying is a dry cooking process, like sautéeing or roasting. It occurs over moderate heat — most fried recipes will call for oil to be heated somewhere between 325 and 375 degrees — and, when done properly, results in food with a moist, just cooked center, and a crisp, well-browned exterior. When a piece of food is dropped in hot oil, a few things happen: First, moisture from the inside of the food rapidly heats up and turns to steam, quickly migrating out from the food to the oil. This process causes the oil to bubble rapidly as it gives off all of that steam. Quick moisture loss on the outside of the food creates a dry surface, which will crisp in the hot oil. Because oils can heat up far past the boiling point of water, they allow for both the caramelization of starches and the browning of proteins, which is referred to as the Maillard reaction. As moisture evaporates from the fried food, it leaves behind tiny little surface craters, into which small amounts of oil move. The more moisture that escapes the fried food, the more craters it leaves behind and, therefore, the more oil is absorbed. Foods fried at lower temperatures lose less moisture and therefore absorb less oil than foods fried at higher temperatures. Yep, you read that right. In contrast to common belief, foods fried at higher temperatures actually contain more oil than those fried at a lower temperature. So why do foods fried in oil that's too cool seem greasier? It's actually the excess moisture in those foods that makes them taste that way. Without that crisp golden crust from proper frying temperatures, there's nothing to prevent moisture from seeping out and making your fries taste soggy. No one likes soggy foods, even if they contain slightly less oil than super crisp foods. The good news? Even properly fried foods don't contain that much oil. In fact, several years ago, Cook's Illustrated measured the amount of oil absorbed after frying chicken, and it was, surprisingly, minimal. Pretty much all of that oil is concentrated on the surface of the chicken (or fry, or whatever), inside of those little pockets created on its starchy surface. One of the best ways to avoid serving (and eating!) greasy fried foods is to drain it properly. Newspaper may look cute, but it's not an effective way to blot off any excess oil. Neither is a cooling rack. Instead, opt for a double- or triple-thick stack of paper towels. As soon as you pull your fried goodies out of the oil, transfer them to that stack of towels for a minute or two. Take this small window of waiting time to season the outside of your food and serve right away. If you're battering or breading your fried foods, you can also lower oil absorption by incorporating gluten-free flours and starches, such as rice flour and corn starch into your mix. There's no need to go crazy and elimate all wheat flour (unless you need to, diet-wise, of course), but, according to Harold McGee, stronger gluten matrices absorb both moisture and fat at a higher rate than those with weaker gluten strands. If you've ever had a properly fried Korean chicken wing, which is almost always coated with a rice flour-heavy batter, you know that the exterior is very dry and crisp — the opposite of greasy. What about the oil itself? Isn't fat bad for you? Of course, too much of anything can be bad for your health, and fat is no exception. But there's no reason to shun fried food just because it contains more fat than steamed broccoli. Another factor to consider is the type of oil itself. Typically, refined vegetable oils are used for frying, but there's no reason why you can't experiment with other oils — even olive oil. Most olive oils, in fact, start to smoke at temperatures close to 400 degrees — too hot for frying — so they're totally safe. (Personally, I'd shy away from any truly fresh-pressed olio nuovo or any expensive bottle of olive oil for frying as most of those taste best when eaten raw or just lightly cooked.) Peanut oil is also more nutrient-rich than canola, and is quite an effective, and delicious, frying medium. 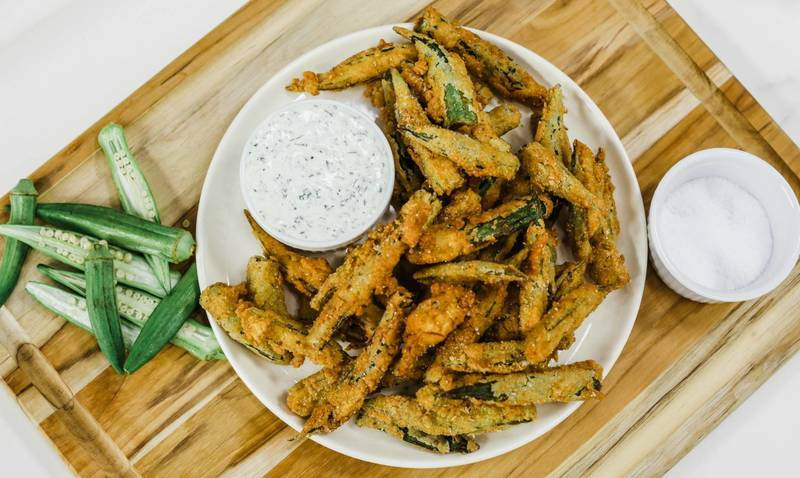 Let's face it — a beignet is always going to be less healthy than properly fried okra. 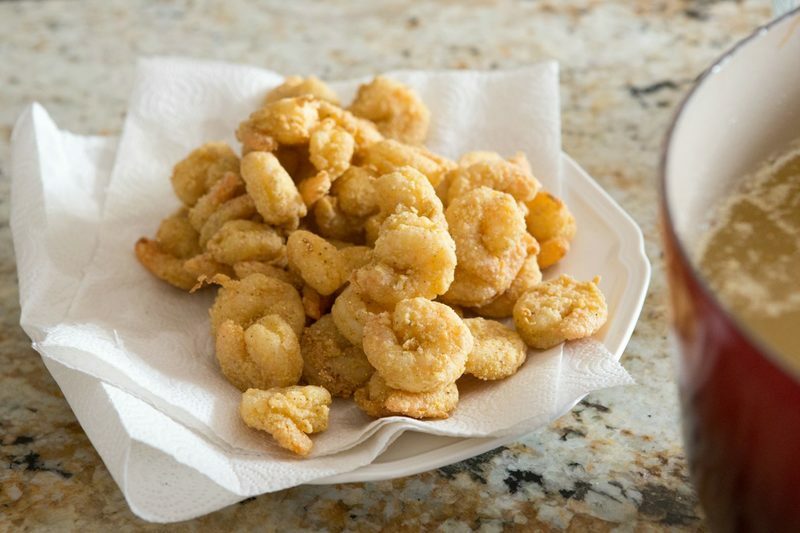 And fried hushpuppies contain much fewer nutrients than tempura-fried shrimp. If you love fried food, but want to keep your heart health in mind, consider choosing vegetables over dessert and keep chicken-fried steaks to a minimum. Fried chicken, on the other hand, we'll never say no to.